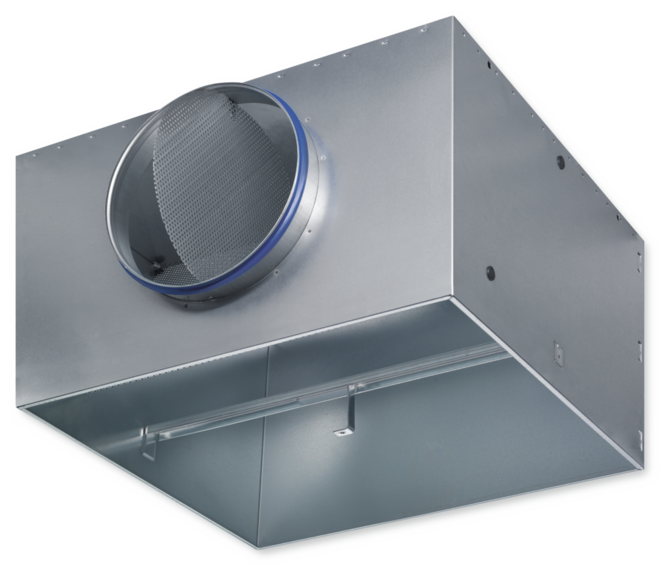 Plenum boxes are used to connect ceiling diffusers to circular ducts and to fix the diffuser face. 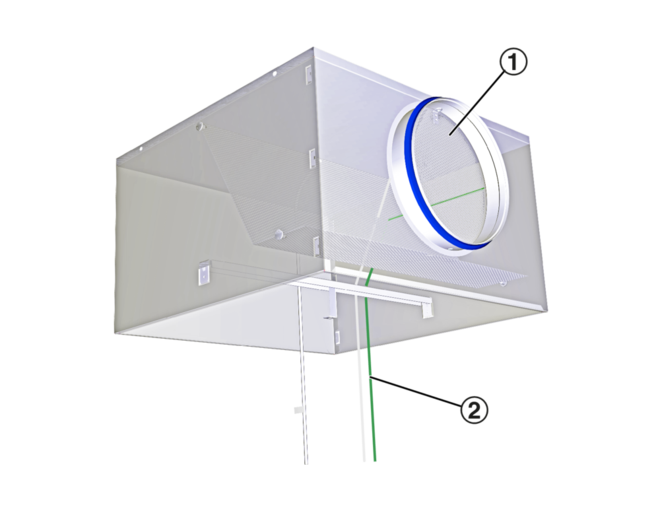 Type AK-Uni plenum boxes are fitted with an equalising element that ensures that the air is evenly distributed to the room. 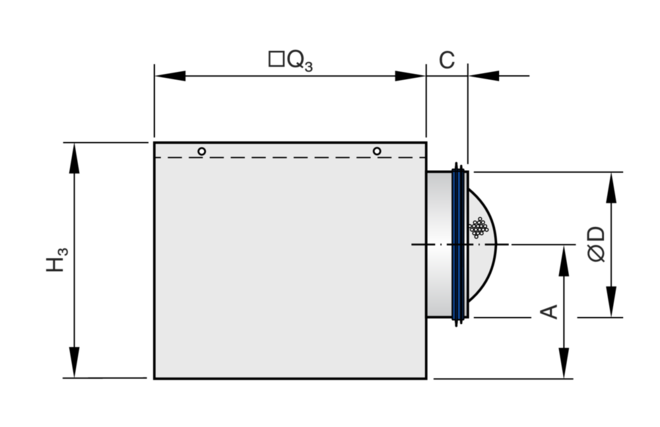 A damper blade (optional) simplifies volume flow rate balancing for commissioning. 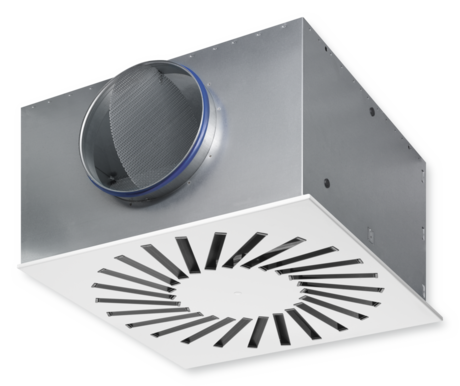 Pressure tap and cord-operated damper blade (optional) allow for volume flow rate balancing with the diffuser face in place. 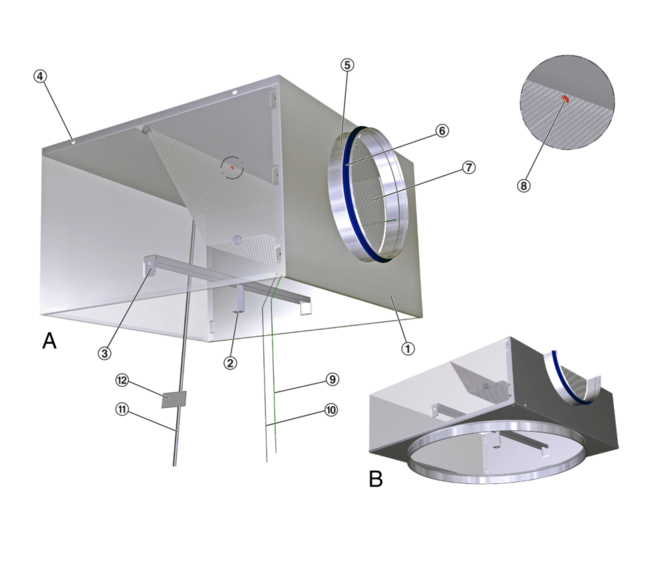 Universal plenum boxes for the connection of circular and square diffuser faces to circular ducts, suitable for supply air or extract air applications. For installation into all types of suspended ceilings. 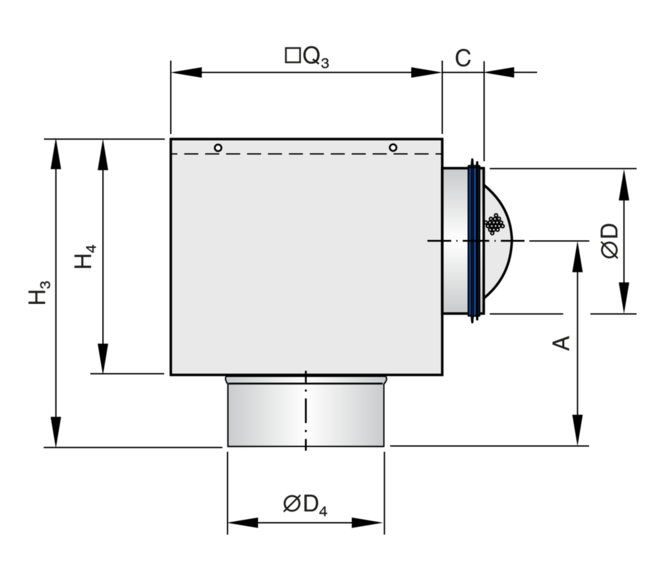 Ready-to-install component which consists of the plenum box, equalising element (only supply air variants), side entry spigot, cross bar, and suspension holes. The diffuser face is fixed to the cross bar with a central screw, concealed by a decorative cap. 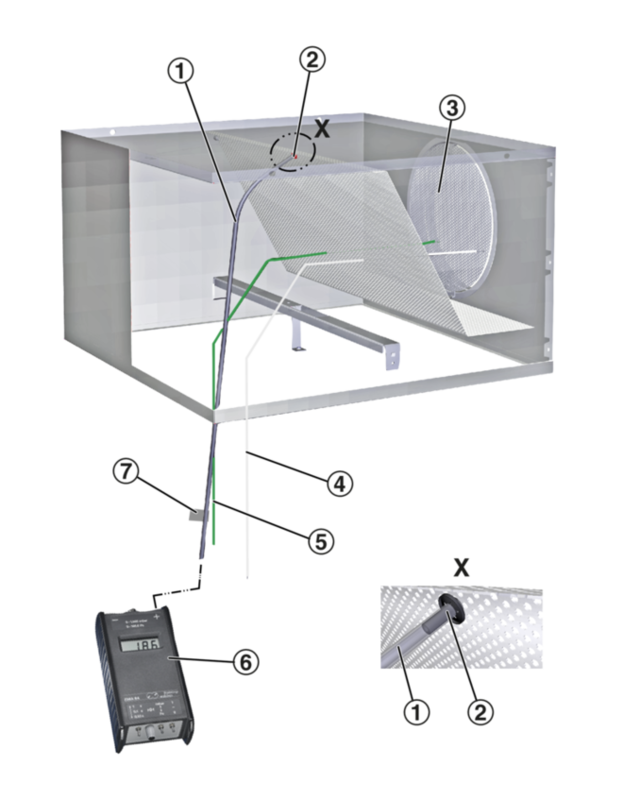 When several diffusers are connected to just one volume flow controller, it may be necessary to balance the volume flow rates. 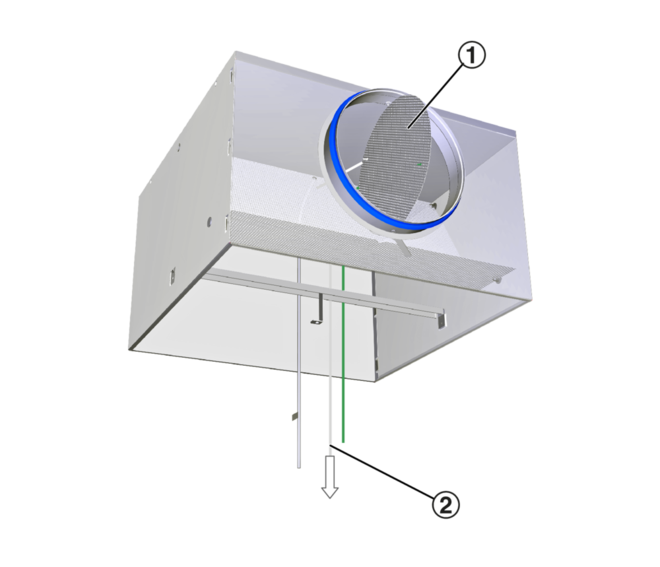 Ceiling diffusers with universal plenum box, damper blade and pressure tap (variant -MN): The diffuser face need not be removed since the damper blade can be set with two cords (white and green). 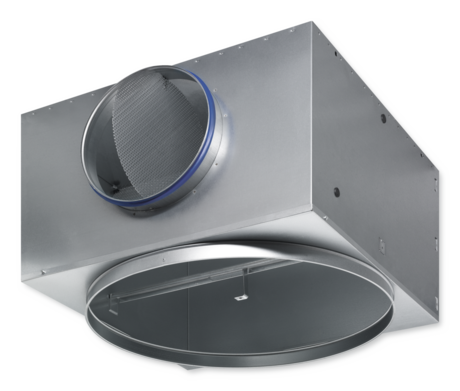 Ceiling diffusers with universal plenum box, damper blade and pressure tap (variant -MN) allow for volume flow rate balancing even with the diffuser face in place. A characteristic is included with each AK-Uni plenum box.